Every home and business needs quality insulation to ensure maximum comfort and energy-efficiency. Yet, many buildings suffer from insufficiently insulated walls, roofs, and attics, making heating and cooling a difficult task. If this describes your building, and if you’re tired of temperatures and bills that are out of control, Wisconsin Roofing, LLC is here for you. 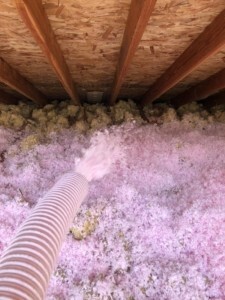 When it comes to residential or commercial insulation services, the skillful services of Wisconsin Roofing, LLC are unbeatable. Our experienced staff will work with you at every step of the way to make sure your building’s insulation is seamless and effective. Is Insulation Only for New Construction? The seasoned professionals at Wisconsin Roofing, LLC offer insulation services for both new constructions and existing buildings. You won’t regret having the best possible insulation incorporated into your new construction, but it’s never too late to upgrade—even in the oldest of homes and businesses. Take control of your building’s costs and comfort with a complete insulation upgrade by Wisconsin Roofing, LLC. No matter the size or scale of the job, we won’t settle for anything less than your full satisfaction. To chat with one of our friendly representatives and receive a free estimate, call us today at (262) 349-6338.